Sometimes what you’re looking for – what you really need – is just a great spot to lean back in the sunshine and enjoy a drink. Luckily for you, there is no shortage of beautiful sunshine or fine patios in Victoria! Right outside the doors to the Victoria Regent you’ll find The Local and Darcy’s Pub, with beautiful Inner Harbour views; both Wharf Street mainstays. Six minutes south down Wharf Street, you’ll find Milestones, with the only patios right in the heart of the Inner Harbour where all the action is, overlooking the BC Legislature. In the opposite direction, six minutes north up Wharf Street you can find one of the largest patios along with delicious craft beer at Canoe Brewpub. Finally, if you’re up for a bit of a walk, there’s Spinnakers Brewpub about a 15 to 20-minute walk away, depending on the route you take. We recommend walking along the water of the Inner Harbour – it never gets old! Or you can even hop on a harbour ferry and sail up the Gorge to Glo! 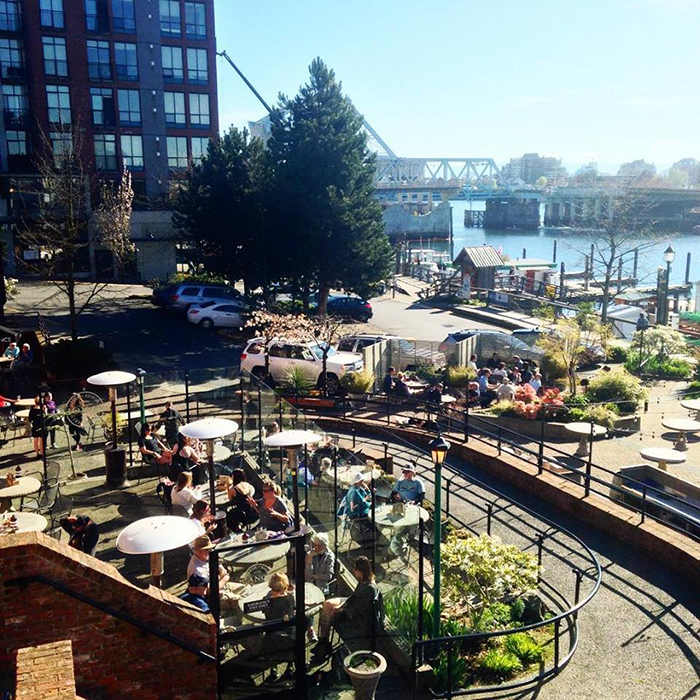 Great food, great drink, and great patios are never hard to find in Victoria!